Proper maintenance is key to keeping your fence looking great. Uncovering issues early can often times make the difference between having a minor repair now instead of a major fence replacement in the future. 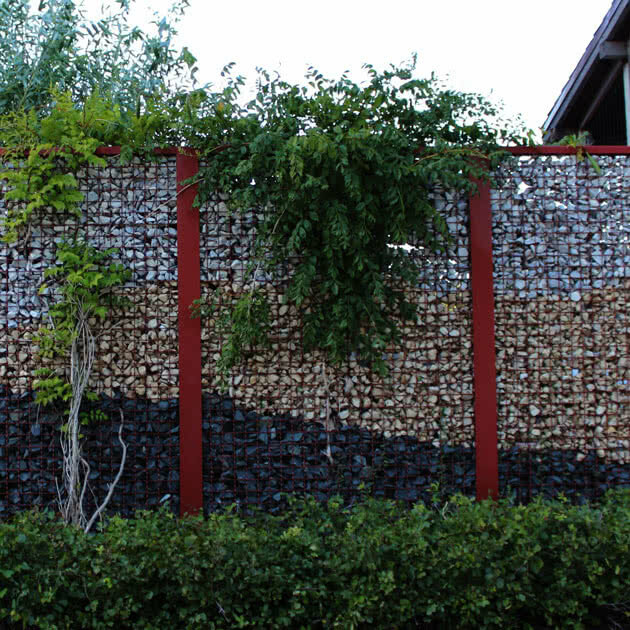 Your maintenance will depend on the type of material used for your fence. Also remember to check your gates for any issues as well. 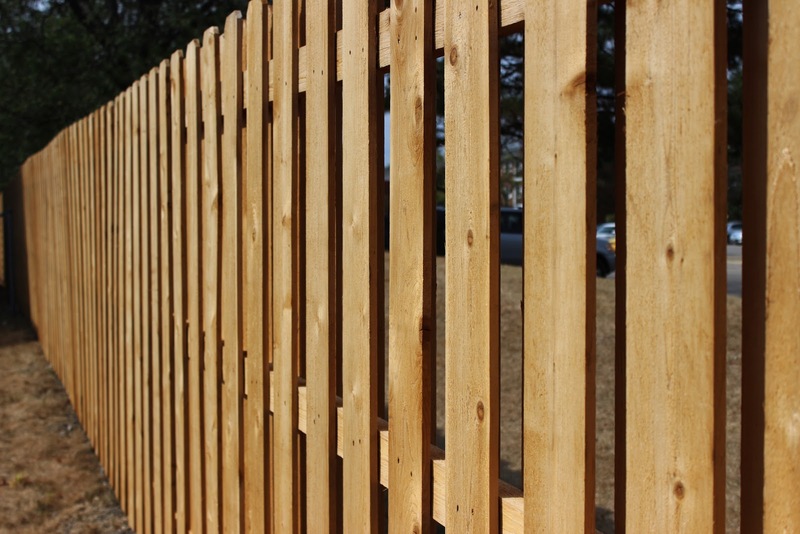 You can find additional information at our Fence Maintenance blog post. We can help with any repairs you may need. Just complete our contact us form and we'll reach out to you for pictures of your fence to help us determine the extent of your damage. We'll follow up within 1 - 2 business days to discuss your repair options. Check for loose screws by lightly pushing on a section and listening for any rattling noise. You should try to tighten the screws but if they are stripped, they will need to be replaced. Also look for damage to the bottom of the pickets. You may be able to hammer it back in place or you may have to replace the picket or the full section, depending on how much damage you have. You should look at your caps to see if there are any chips or scratches in the coating. You can fix minor damage by using touch-up paint from the manufacturer. Inspect the individual links to see if any are bent or snagged. You can fix this damage by reweaving the links or straightening with pliers. Also look for any top rails that are bowed due to the weight of heavy snow pushing down on the chain link fabric. This can be fixed by rolling the top rail and retying. Composite fencing normally requires no maintenance. But if you do have any dirt buildup, pool / lawn chemicals residue, mold, mildew, or debris from trees that you notice, these can be removed by pressure washing. Steel fencing normally requires no maintenance. But if you do have any dirt buildup, pool / lawn chemicals residue, mold, mildew, or debris from trees that you notice, these can be cleaned with soap and water. If you find any chips in the coating, you will want to fix them so that they do not rust. Sand and/or wire brush the area before applying a rust-inhibiting primer and then paint with exterior enamel. You should inspect your sections for any landscaping damage. Depending on the damage, you may choose to leave the picket as is or you may want to replace it. Check your caps to make sure they are still secure on the posts. If any are not, use a PVC glue to strongly adhere the cap to the post. You should perform routine maintenance to remove dirt buildup, pool / lawn chemicals residue, mold, mildew, or debris from trees. You should closely inspect your wood fence for significant warping, insect damage, rotting, and landscaping damage. Remember that wood can have cracks (called checking), knots and minor warping which are occur naturally and are part of the weathering process. Look for any loose nails and pound them back into place. Warped pickets may also be secured back with nails, depending on if it can be nailed to a board. Or you may choose to replace individual damaged pickets. Inspect the bottom of the posts to see if the wood is starting to rot. If you have extensive rot, you will need to get a replacement post. You should also check for damage caused by weed whacking and try to keep this to a minimum in the future. 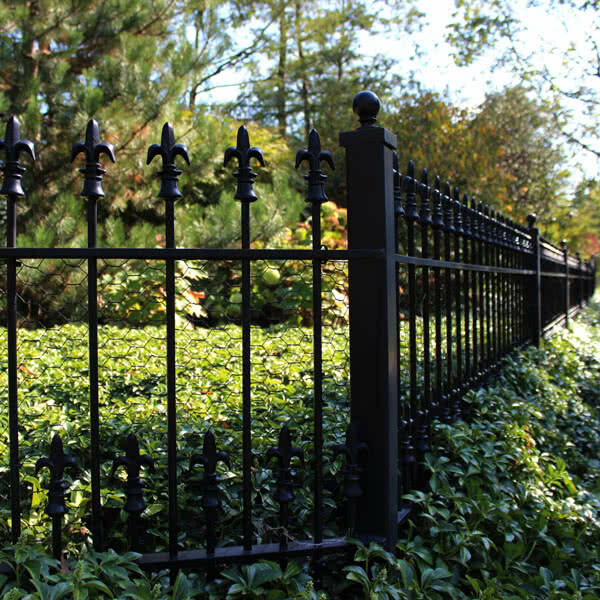 Wrought iron fencing normally requires no maintenance. But if you have any dirt buildup, pool / lawn chemicals residue, mold, mildew, or debris from trees that you notice, you can clean these with soap and water. If you find any chips, you will want to fix these so that they do not rust. Sand and/or wire brush the area before applying a rust-inhibiting primer and then paint with exterior enamel.